Here is a simple diode detector for RF signals. 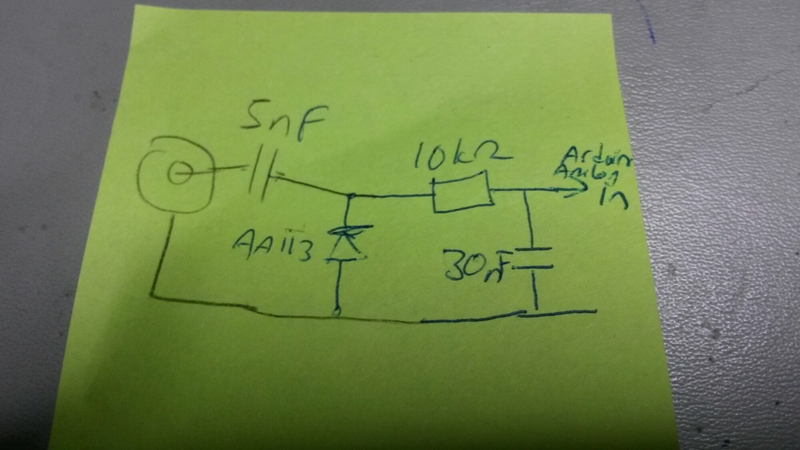 I can feed RF signal from left and get DC output from right. 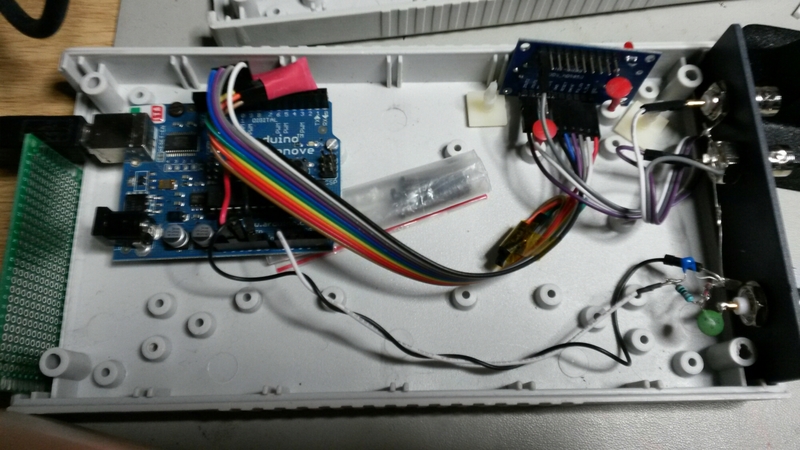 The DC output can be fed to Arduino analog in. The diode in the circuit is germanium diode for low voltage drop. The circuit works well for fractions of volts to several volts RF. Frequency range from 10kHz to 40MHz seems to work OK. I plan to use this with my Arduino controlled DDS signal generator.